Michelin is convinced that it can deliver tyres that will allow Formula 1 drivers to race ‘at the max’ if it is successful in its bid to become official tyre supplier. The French company confirmed on Tuesday that it had lodged an official tender to become F1’s tyre provider after next year. Having questioned the current status of tyres in F1, it is adamant that it can move the sport in a better direction for teams and fans. 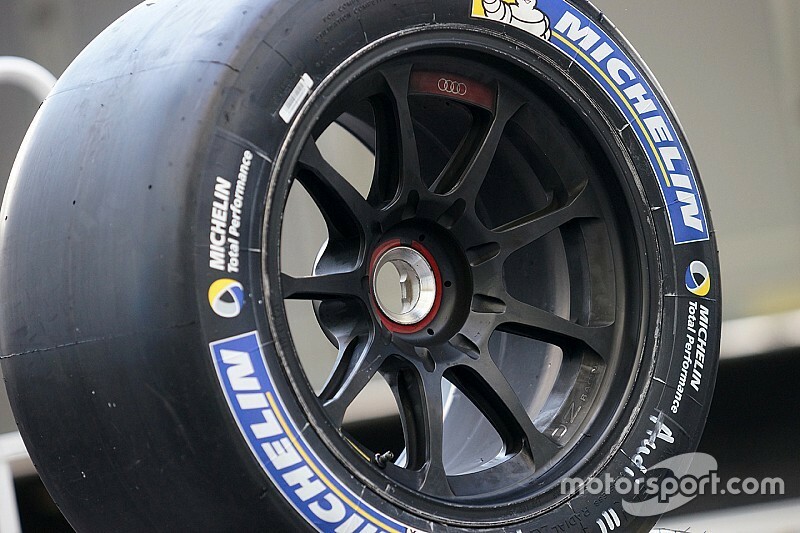 In particular Michelin’s motorsport boss Pascal Couasnon believes that its product plan and a switch to 18-inch wheels would transform how drivers could attack in races. “Whether we'll be selected or not, we'll see,” he told Motorsport.com. “But I'd say we want to be coherent with our proposals and offer the opportunity to the teams and the drivers to have a tyre that enables everyone to express themselves and drive to the max. Couasnon said that the plans by Michelin would be welcome by F1 because it would put tyres back at the forefront of the technological battle. “It would be wiser to talk about F1 through a technical challenge rather than hearing drivers saying ‘I can't attack or go faster because of the tyre’,” he said. Michelin has always been clear that it would prefer a tyre war in F1. However, even though the sport’s chiefs and teams have been against the idea of competition on cost grounds, Couasnon thinks Michelin can still benefit from being a sole supplier. “We have always been open to rivalry,” he said. “Where it has a bit moved is in the question of whether there is no competition, do we still take part in any case? “Our position is that what's important is to have a technical challenge to make us progress. Will we be able to learn some things for tomorrow's tyres? “One of the solutions is indeed to have a rival facing you: in that case, you have an immediate challenge and motivation. But there are also the rules. “When you are not allowed to change tyres and refuel at the same time at Le Mans, the teams need tyres that can handle several stints. So even without rivals, you're being challenged in a technical way by your clients. That's what we want to do in F1.